Canada Day is around the corner. With your day off, I hope you will have a chance to celbrate our country with family and friends. 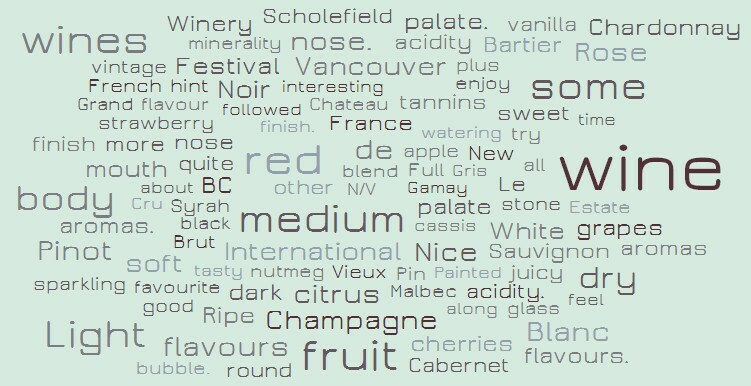 If you are having a get together, here are a few Canadian wines that you may want to try. I’ve tasted these wines since January this year, so you should be able to find them in your favourite BC Liquor store or wine shop. Enjoy! Why Petit? Petit wines from France are the second labels of famous wineries. In some vintages a winery may determine that some grapes did not reach the quality needed for their top tier wine, so the grapes go into their second tier wine. An example of this second tier is Pavillon Rouge du Chateau Margaux. This Petit wine is a blend of Sauvignon Blanc, Pinot Gris, Chardonnay, Viognier, Muscat, Gewurztraminer, Roussanne, Marsanne, and Erhenfelser. 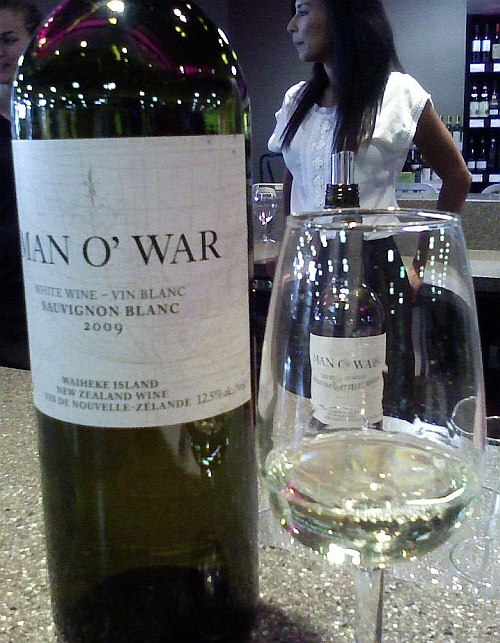 The wine had waxy, lemony, and grapefruit aromas with a hint of flowers. It was dry with medium plus acidity and some viscosity in the mouth. I picked up some light tropical fruit that was underlain with full citrus flavours, particularly lemon, but also a hint of lime. There was also some pear and apple in the background. Steely on the palate. Peppery and mouth watering on the finish with some grapefruit rind flavour. A good wine for your summer, in a screw cap, so meant to be enjoyed now. Very nice nose. A mix of black cherry and very ripe raspberry, with some vanilla in the back. Medium plus body, dry with bright purple fruit, cassis and blueberry flavours, together with vanilla. Silky tannins from start to end leaving you with a soft finish and mouth watering acidity. Across the tongue you get a salty minerality which was quite interesting to me. I also did pick up some leafiness on the finish. A very enjoyable wine. My last wine, the B.S Red 2011 is a blend of mostly Merlot, with lesser amounts of Syrah, Pinot Noir, and Gamay Noir. This wine was noticeably dark to opaque ruby in the glass. Lots of sweet, purple fruit aromas, along with raspberries, plums, vanilla and a hint of chocolate. Quite enjoyable to nose. Wow, lots of layers of juicy fruits on the palate. Ripe raspberries, red cherries, red and black fruit, and plums. I also picked up vanilla, sweet spices, and milk chocolate flavours. This wine has medium body and is soft and silky, coating your mouth. The juicy fruit flavours were dragging my tastebuds all over the place. The tannins were not too strong, but there was enough to support the fruit. On my second day of tasting I noted aromas of violets, and a hint of blueberries on the palate. An outstanding wine expressing an exuberance of youth in my opinion. I might try this with some bbq’d baby back ribs. The Tulalip Resort Casino in WA State has put on some very classy wine and food events in the past, with the most recent that I attended was the “Taste of Tulalip” in November. I just received this press release of their upcoming summer wine makers’ dinner series, and they make me want to drive down to each one! I no doubt these will be spectacular events based on the past events. Enjoy! Tulalip, Washington — Eric Dunham, enological legend and Walla Walla wine world luminary will share his award-winning, single vineyard “Artist Series Wines” at Tulalip Resort Casino on Saturday, June 23rd. 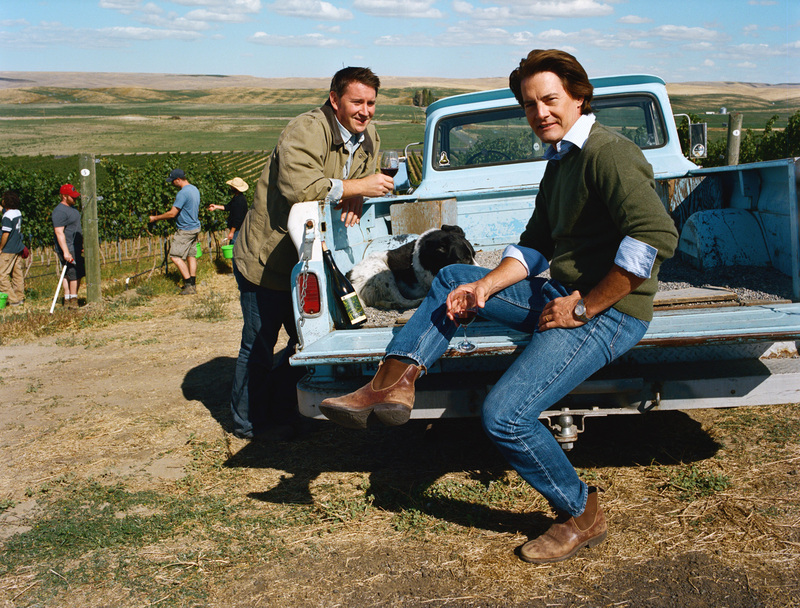 In partnership with screen star and Washington native Kyle MacLachlan (check Kyle’s bio here), the duo has created Pursued by Bear, Columbia Valley Cabernet Sauvignon and Baby Bear Syrah. Both join culinarian extraordinaire Chef Perry Mascitti and his team for an evening of great sips, quips and exceptional food pairings under the direction of Tulalip Sommelier Tom Thompson. Guests will be served under the stars or by the fire on the Mpulse patio. This rare and not to be missed summer star-studded evening, will feature five dynamic food stations. Each showcases the diversity of Tulalip’s culinary depth. The meat and fish grilling station offers guests a selection of six basting sauces, seasoning salt and assorted relishes. Among the plethora of vegetable station choices is a cedar grilled garden bundle and attendees are invited to slide into the slider station to try the mini-halibut burger, Italian sausage focaccia and venison sliders. As diners toss their way over to the salad section, they can nibble on everything seasonal. Chef Nikol will work her usual kitchen magic (done with sweetness) on a trio of sinful desserts including fried fruit pies and fudgesicles. The winemaker dinner series continues on July 7 when 2012 Taste of Tulalip Honorary Winemaker Chris Sparkman of Sparkman Cellars shares his powerhouse pours and shows how well suited they are to enjoy with great food. This is a winemaker who knows his stuff having spent a couple of decades as a sommelier and wine buyer for some of the U.S.’s best restaurants. On August 4th, guests will dine al fresco with the wine pioneering Mondavi’s as Marc and his family bring their legendary Napa bottling selection to Tulalip. Chef Perry will prepare a mid-summer evening “Krug family picnic on the lawn” at the resort’s Amphitheatre, while the Mondavi generations speak about their family’s amazing history. Tulalip Resort Casino is the largest and most distinctive gaming, meeting, dining, entertainment and shopping destination in Washington State. The AAA Four Diamond resort’s world-class amenities have earned the property Condé Nast Traveler Gold List status as well as the “Best Resort” award from NW Meetings & Events magazine. With six dining venues, headlined by the exceptional Tulalip Bay (TB) restaurant and Blackfish Wild Salmon Grill and Bar (BF), the restaurants have been individually honored with accolades from Wine Spectator’s “Best of Award of Excellence” (TB), the Washington Wine Commission “Award of Distinction” (BF) and “Grand Award” (TB), the Seattle Magazine award for restaurant leadership in the business community (TB), to Wine Press Northwest’s “Herbies” for an “Outstanding Washington Wine List” (TB). The Taste of Tulalip, the resort’s annual signature food, wine and tradition event has also been recognized as the “Best Wine Event Featuring Washington Wine”. Tulalip is conveniently located between Seattle and Vancouver, B.C., just off Interstate-5 at exit 200 and is an enterprise of the Tulalip Tribes. For reservations please call (866) 716-7162 or visit www.tulalipresort.com . As I blogged across France, you would have seen my reviews of different wines I enjoyed. I thought that instead of leaving the reviews scattered, it might be nice for you to see my top France trip wine picks in one place. Hopefully some, or all, of these wines are available where you live. Enjoy! M. Chapoutier Les Arènes, Cornas, 2007. This is another wonderful Syrah from the tiny Cornas appellation. I read on Wikipedia that Cornas is Celtic for “burnt earth”, so similar to the “roasted slope” of Côte-Rôtie. Medium to dark ruby in the glass. A very nice nose with mint, crushed herbs, olives and dark fruit. Full body with blueberry and dark fruit flavours. Medium acidity and tannins. Long soft finish. I really like this wine, and bought a bottle to take home. M. Chapoutier De l’Orée, Hermitage, 2008. This wine is made from Marsanne grapes grown by 60-70 year old vines. The actual plot for this wine is called “Les Murets” and is composed of very old fluvioglacial alluvial deposits that face east, getting the morning sun. The grapes for this wine are hand harvested. About half the grapes are vinified in large wooden barrels with regular lees stirring and the rest fermented in vats. The wine matures on lees with stirrings for 6 months. Maturation is between 10 and 12 months. Very deep golden honey in colour. Lemon and honey aromas in the glass. Full body, round mouth feel, with medium acidity and lemon and honey flavours. Long length. A very elegant wine. 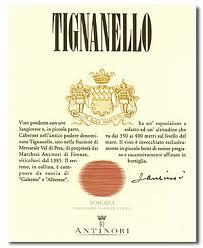 This is another wine that can age 30 to 60 years! 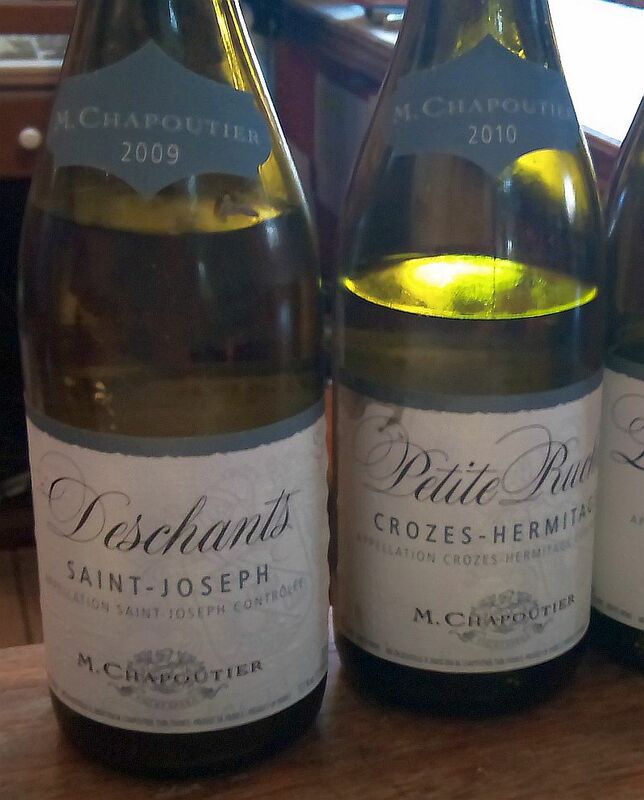 M. Chapoutier Deschants (Marsanne), Saint-Joseph, 2009. Deep golden, beautiful colour in the nice. Very nice nose with peaches and flowers. Medium plus body and good acidity, and flavours of peaches, orange and citrus. Also a vein of minerality in this wine. Very refreshing. Medium length. I liked this wine a lot. M. Chapoutier Petite Ruche (Syrah), Crozes-Hermitage, 2009. Deep purple in the glass with lots of cassis aromas. Medium acidity and body. Lots of ripe cassis and blueberry flavours. Dry finish. Very nice! 2010 (€14). Sec means dry so these and the next two wines are dry. This wine was light straw in colour with small bubbles. Nice lemon and honeycomb aromas with a hint of minty herbal. Round nice mouthfeel. Very fruity. Citrus, flowers, and minerality. Good acidity. I really liked this wine. 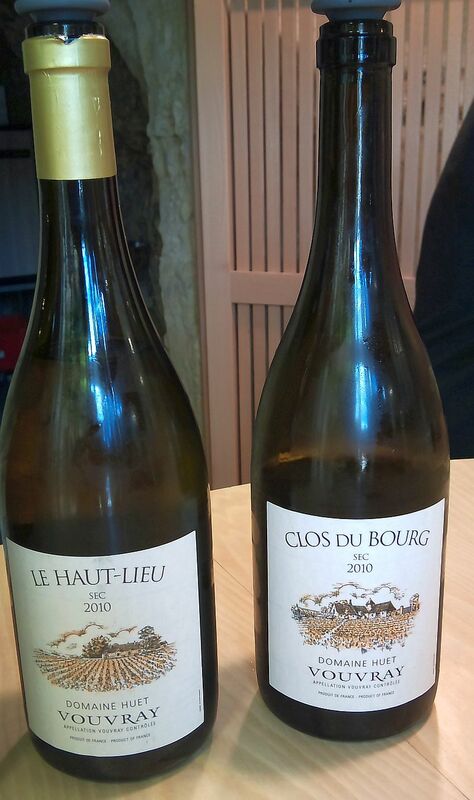 Domaine Huet Clos du Bourg Sec 2010 (€16). Medium lemon colour. Light citrus and apple aromas. Medium body, small bubbles, round in the mouth but with medium acidity to keep it refreshing. Some honey, apple, citrus and spice flavours. A very elegant wine. Well, Syrah. A big wine. So maybe Summer Sips is not the correct term. Maybe I should call this one, Summer Gulps. Because you would want a big glass of syrah, and enjoy a good amount in your mouth, probably just before or after you have something nice from the BBQ. Syrah loves heat so that it can fully ripen and you can appreciate all the flavours this grape can produce. The southern Okanagan gets a lot of heat, so there should be plenty around. Syrah typically has high tannins and high acidity, with flavours of blackberry, blueberry, dark chocolate, mint, eucalyptus, smoked meat, black pepper, white pepper, liquorice, and cloves. The high tannin content of the grapes often makes these wines good candidates for aging. This grape ranks up there in ageability together with Cabernet Sauvignon. You may also see the term “Shiraz” instead of “Syrah“. These are the same grape, just a different style wine making. In France, you tend to get a more restrained version of the wine produced, with less fruit forwardness and more tannins and acidity. In newer wine making regions of the world, you tend to get a “New World” style called Shiraz. Australia has been the poster child for the Shiraz style, which is a big block buster wine full of ripe fruit. Both styles have their followers and their detractors. You may have noticed that some of the syrah are blended with a white aromatic grape called “viognier“. Syrah’s traditional home is the Rhone Valley in France. Viognier is also from the same area. 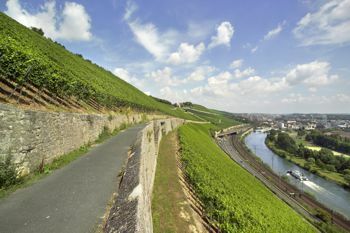 French wine makers in this region have found through many years of wine making that by co-fermenting a bit of viognier with the syrah grape, that the colour from the syrah grape becomes more intense in the resulting wine, plus you get some of the aromatic perfume from the viognier. I have had the Mission Hill Select Lot Collection Syrah from past years, and this is a very refined wine. The price point for this is on the higher end, so if you are going to sip this wine, make it a special occasion. On the summer sipping theme, Jackson-Triggs produces enjoyable wines at reasonable prices. Their 2007 Proprietor’s Reserve Shiraz 2007 won a Gold Medal at the Okanagan Valley Fall Wine Festival (I think this is the same as the Private Reserve Shiraz listed above) and is only $19.99. Last month I was at the Township 7 winery in the Fraser Valley. I tried their 2006 Syrah and noted that this wine had blueberries and plum on the nose. South mouth feel, with pulm and vanilla flavours, and a sour cherry finish ($24.99). 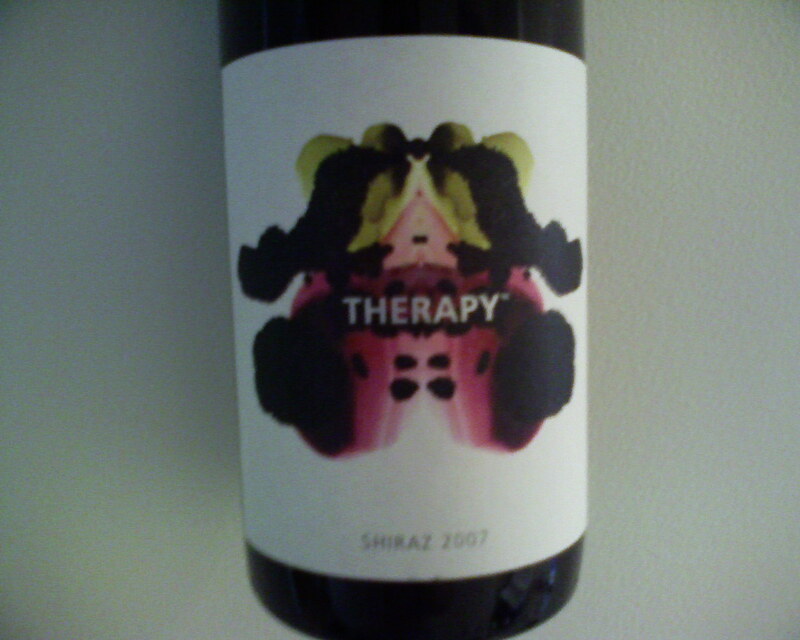 I had also visited a while back the Therapy Vineyard and tried their Shiraz 2007. From my notes, I noted a medium purple colour in the glass. Dark fruit, black berries and slight oak aroma. Ripe black fruit, plummy with a bit of chocolate on the palate. Smooth mouthfeel with a long finish. I marked this wine as a star in my tasting notes. If you like this post on Summer Sippers, or other of my posts, please tag or tweet them. Merci. Now go and enjoy some Syrah. It was a beautiful day on Saturday, so I decided to have lunch at Mistral French Bistro in Kitsilano. I’d never been there before but have heard that the food is very good. I checked through their website to see that they have 4 Fixed Price menus for lunch. All around the $20 mark, that includes appetizer, main course and dessert. A very good deal in my opinion. 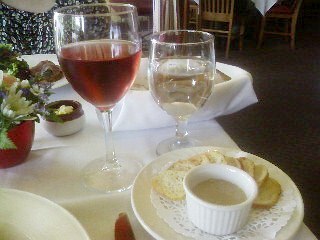 To the appetizer and Main course, I enjoyed a glass of L’ORANGERAIE Rose 2009. This wine is from Vin de Pays d’Oc, France and is a mixture of 60% Cinsault, 20% Grenache, 20% Syrah. The wine had nice light cherry flavour, nice acidity, and low tannins. This rose went very nice with the Provencal appetizers and balanced the heaviness of the stew. The appetizers were quite nice. 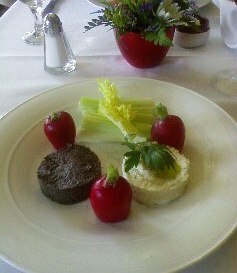 In particular I enjoyed the black olive spread (tapenade) together with the radish. The saltiness of the tapenade and the pepperiness of the radish cancelled each other out, letting more fully enjoy the olive flavour and the crunchiness of the radish. 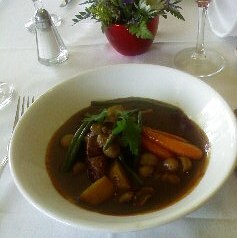 The braised lamb shoulder stew was quite amazing. Many different flavours merged together. The stew sauce had the herbes de Provence. There were fresh baby carrots and beans as well and turnip that exploded with flavour. The vegetables still had a nice amount of crispness to them and provided nice texture to the lamb. The chocolate mousse for dessert was fantastic. I enjoyed it with a cup of coffee. A truly enjoyable lunch. To check out their other fixed price menus, you can click on this link to the Mistral French Bistro. Enjoy! On Thursday, May 20, 2010, I was fortunate to attend the Le Vieux Pin Winemaker Dinner at the Shangri-La Hotel in Vancouver. The event was at the Market Restaurant in the hotel and the food was masterfully designed by Executive Chef Wayne Harris in consultation with Jean-Georges. Keeping to the blog format, I will keep my notes brief and will then provide more details in www.MyWinePal.com. Rasoul Salehi, the Director of the enotecca wineries that owns Le Vieux Pin, led us through a tasting of white, red, and rose wines he has recently produced. James Cambridge, the wine maker was unable to attend, but Rasoul is a very knowlegable man about wine and very interesting to hear speak. 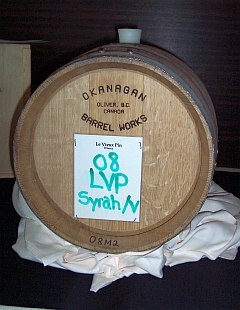 Rasoul also brought a small barrel of a new wine for Le Vieux Pin, his 2008 Syrah / Viognier. For those that do not know, Syrah is a red grape, while Viognier is a white grape. Both varieties come from the Rhone Valley in France. Syrah is a bold, spicy grape, while viognier is very flowery and aromatic. In the Rhone Valley, one of their traditions is to co-ferment Syrah is a bit of viognier. The viognier helps bring out more colour from the Syrah grape skin and adds more perfume to the wine. I applaud James for trying this in the Okanagan. This Syrah / Viognier was deep purple in the glass, with aromas of vanilla, blueberry, plum and honeysuckle. On the palate you get ripe plum, black cherry and vanilla. Quite spicy, round in the mouth and long length. When this wine is released to the public it will be in the $32-$35 range. Well worth the price. This wine was paired with homemade, melt in your mouth, gnocchi, with morel mushrooms, black pepper, and extra virgin olive oil. The black pepper seemed to bring out the fruit in the syrah. To start the evening we had the 2009 Vaila Pinot Noir Rose, paired with egg caviar. 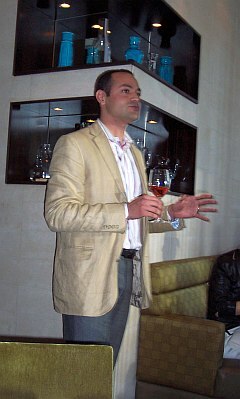 The Pinot Noir grapes were picked at a ripeness that Rasoul felt did not bring out the tannins of the grapes. Some wineries, when they produce rose wines, use fully ripened red grapes, which have partial contact between skin and juice, then some of the juice is bled off to produce the rose wine, but this also allows the tannins to be imparted to the rose. Rasoul by choosing to pick earlier indicated that the tannin level can be minimized, making a smoother rose. This wine had fresh raspberries and medium cherry aromas. More fresh strawberry and red cherry on the palate with low tannins. Good crisp acidity. The egg caviar was a wonderful mixture of salty, creamy and eggy flavours that blended nicely with the rose. There are many other wines to talk about from this evening: 2009 Sauvignon Blanc, 2007 Epoque Merlot, 2007 Apogee Merlot, and 2009 LaStella’s Moscato d’Osoyoos, and of course their food pairings. Check on http://www.MyWinePal.com for the full review.